Greenwich Village’s legendary bowling alley, Bowlmor Lanes, has closed. It was the longest running bowling alley on the east coast. But like countless nightlife closures in New York City, Bowlmor became a victim of the ever-changing landscape driven by real estate development. Originally opened in 1938, Bowlmor was active during bowling’s peak in popularity during the 1940s, 50s and 60s. As bowling waned in popularity in the 70s & 80s, Bowlmor Lanes suffered a decline. But entrepreneur Tom Shannon, who purchased it in 1997, modernized the decor by adding lighting & video screens, and improved its food & drink offerings, thus transforming it into what has become the model for today’s modern bowling alleys. 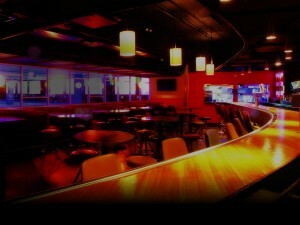 Bowlmor Lanes have become a modern nightlife and entertainment destination. “It is with tremendous sadness that we must confirm the news that after 76 years of faithful service, the original Bowlmor Lanes, located at 110 University Place, will be closing permanently on July 8, 2014. Our historic location—along with the other stores and restaurants in the surrounding area—is being forced to close in order to make way for a luxury condominium, which the building’s landlord reportedly plans for the site. As the longest continuously operating bowling alley on the East Coast, Bowlmor Union Square has served millions of guests—from former U.S. Presidents, athletes, musicians, and Hollywood stars to tourists and of course our bedrock clientele, New Yorkers. You have all made your way to 110 University Place in the pursuit of authentic and inspired entertainment—and it has been our sincere pleasure to welcome you onto our lanes for the past seven decades. Bowlmor Union Square famously raised the standard for modern bowling—introducing exceptional service and trendy décor to the sport—and set the stage for the resurgence in popularity that bowling has experienced in recent years. 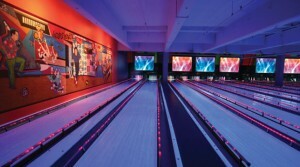 Even though their flagship location has closed, Bowlmor Lanes lives on with two locations in New York City, as well as locations throughout the country.